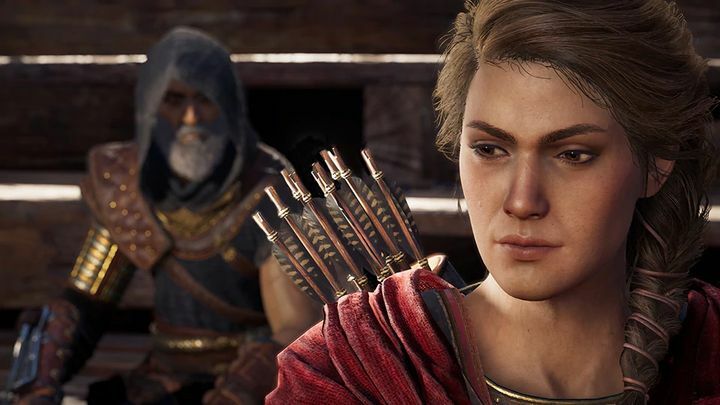 Assassin’s Creed Odyssey was one of 2018’s top games, no doubt. It’s a massive game full of quests to solve and places to discover in its ancient Greece setting, and surely one of the best Assassin’s Creed games to date as we pointed out in our review. However, Ubisoft has not yet finished adding new content to the game, and recently revealed what’s coming to the game during this first month of 2019 on its website. For starters, the second episode of Legacy of the First Blade (the game’s first story expansion) is out now. This is available to those who bought the Gold Edition of the game or other editions which include the expansion, or have purchased it separately on the PlayStation Store or other online stores. This second episode sees game protagonists Alexios or Kassandra take on the Order of the Ancients at sea, and as mentioned earlier, is now available for Assassin’s Creed Odyssey players. As Ubisoft points out, though, you need to be at least level 28 to play it and have reached a certain point in the main game’s story (finished the Naxos questline in chapter 7). Aside from the Legacy of the First Blade episode, Ubisoft is releasing extra content which will be available for free to all Assassin’s Creed Odyssey players. Two new quests will be added to the game this month, titled “Daughter of Lalaia” and “Poet’s Legacy”. The first quest involves saving a village from danger, while in the second you’ll be dealing with a poet. Actually, the most scandalous poet in Greece according to Ubisoft’s description, meaning this is bound to be an interesting quest for sure… To attempt it, though, you need to be at least level 34, meaning you must have gotten pretty far in the game if you want to play this second Lost Tales of Greece quest (the first just requires you’ve reached level 13 in the game). Aside from this, Ubisoft is also adding a new mythological creature to the game: Arges the Cyclops (who is also known as the Bright One for some reason). Beating him will net you a super-duper weapon: the legendary Hammer of Hephaistos, surely making this a battle worth attempting, even if you’ve got to be at least level 50 before trying to take on Arges though. Also, fans of Assassin’s Creed Origins will be pleased to know that Aya is coming to Assassin’s Creed Odyssey soon. The Egyptian Assassin will be available as a lieutenant for your in-game ship, the Adrestia, which no doubt is something to celebrate. Additionally, two different character packs will become available this month for you to get hold of. This let you give your in-game character a unique look. The first of these is Dionysos’ Character Pack, which includes a new outfit, weapon (legendary dagger) and a mount (see image above). There’s also the Athena Pack (coming later this month) giving female players a unique look in the game. Ubisoft is also adding new mercenary tiers to the game, meaning new, higher level mercenaries will be available to fight in the game, plus a new vendor (Hephaistos) will be added to the game too, who will appear in the Malis region of the game. Also, a new “Level Scaling” option is coming to the game. You can set this so that all enemies in the game remain at your level, or choose that enemies are several levels below your character to make things easier (note that as Ubisoft points out, this setting does not affect the game’s ultra-hard Nightmare mode). 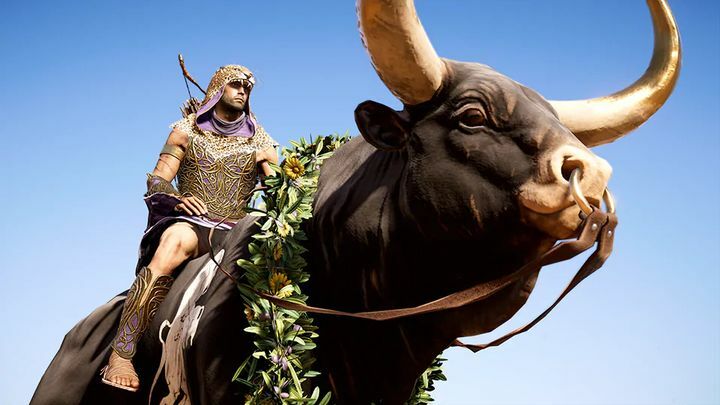 This is a welcome set of additions to Assassin’s Creed Odyssey, then, and surely fans of the series and those who have been enjoying this latest Assassin’s Creed entry will have reasons to cheer this month, so here’s hoping that Ubisoft keeps adding new stuff to Assassin’s Creed Odyssey in the months that follow too.